Chiropractors deal with the musculoskeletal system, with joints, muscles and other soft tissue structures. Over 85% of people will suffer from back/neck pain at some stage in their life, and the management of the causes of dysfunction should be quickly implemented. 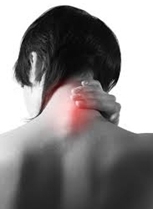 Chiropractic treatment of the cause and the symptoms, as well as a preventative approach is what chiropractors provide to resolve back/neck pain. A thorough assessment to determine a definitive diagnosis is pertinent, as this allows chiropractic techniques to be applied to the tissue in lesion. Joint dysfunction occurs when one of the joints in the spine loses its normal resiliency and shock absorption capacity. When a joint develops a dysfunction, its normal range of movement is affected and the joint can become painful. In addition, because the joint contains receptors, the dysfunction can cause abnormal signals to be sent to the central nervous system that can cause the muscles related to become tense and overactive, while others respond by becoming limp and underactive. In either case, one thing that can happen in these muscles is the development of trigger points, areas of congestion within the muscle where toxins accumulate. These toxins can irritate the nerve endings within the muscle and produce pain. Because the joints and muscles contain a great number of nerve receptors, joint and muscle dysfunction can cause abnormal neurological signals to be sent into the central nervous system. This can then cause disruption to the ability of the nervous system to properly regulate muscles in other parts of the body, leading to the development of instable joints to either become tense or, conversely, to become limp. Chiropractic techniques are typically applied to joints and can be well applied to a facet or zygo-apophyseal joint injury in the low back. A facet joint sprain occurs when the connective tissue or cartilage surrounding the joint becomes damage or tears when an excessive force is placed on the facet joint. The most common cause is overuse injury and it usually seen in patients who perform excessive amounts of bending, lifting and twisting movements. 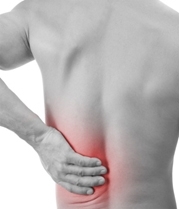 Symptoms will include low back pain, muscle pain, muscle tension and pain on movement- usually rotation and extension. Chiropractors can use a variety of techniques to reduce joint jamming, alleviate muscle splinting and hyper tonicity and improve pain free movement. Commonly called a ‘slipped disc’, this is a ‘catch-all’ term for a range of spinal problems that relate to the ‘discs’ or soft tissue which separate the vertebrae in the spinal column. In medical terms you may be suffering from either a disc bulge (protrusion) or a ruptured disc (disc herniation). This is due to small tears in the disc can allow the gel that is held in the middle of the disc to seep out into these tears and irritate the nerve endings in the outer portion of the disc. This is known as disc derangement. Occasionally, but uncommonly, this gel can seep all the way out and press on one of the nerve roots that exit the spinal cord in front of the disc. This is known as disc herniation. When this happens, pain in the back as well as in the leg can develop, along with neurological symptoms such as numbness, tingling and muscle weakness. A chiropractic approach will target joint proprioception, maintenance of proper joint movement, encourage blood flow and can alleviate nerve compression or the “pinched nerve” feeling. Instability is defined as aberrant (erratic) motion during movement, for example an uncoordinated muscle contraction. Stability of joints in the lumbar spine is maintained by a combination of the structural (passive) system, muscular (active) system, and the neural control system. The interplay between these systems is thought to be necessary for neuromuscular control of spinal segments and disruption might lead to a lack of segmental control, leading to undue stress on the tissues in the body. Someone presenting with lumbar instability will tend to have back/neck pain, feelings of instability, muscular splinting and apprehension of movement. Chiropractic care aims to reduce pain, enhance joint awareness (neural stability), relieve muscular tension and prescribe evidence based exercises to improve stability and strength. When a ruptured disc causes irritation of the adjacent nerves, the symptoms can be low back pain and spread down the leg below the knee, calf and into the foot (termed sciatica). It can also arise when you have lateral recess stenosis or osteophytic (spur) growths compressing nerves. This may cause numbness, sharp shooting pain or pins and needles in the leg and may be associated with weakness such as “foot drop” (difficulty lifting the toes and foot up) or weakness when pushing off with the foot. Chiropractors endeavour to diagnose the cause of the sciatica (as it is a symptom, not pathology) and chiropractic modalities can be applied to the tissue causing the sciatica symptoms. Stenosis means narrowing and central stenosis refers to the narrowing of the central canal of the spinal column. The symptoms of lumbar stenosis are insidious and may come and go, symptoms include low back pain, leg pain (sciatica), leg pain with walking (claudication) and neurological symptoms such as tingling, weakness or numbness that radiates from the low back into the buttocks and legs. Chiropractic treatment cannot reverse central stenosis, but joint and muscle techniques can help with pain relief, improvement in stability and blood flow to nerves. There are many different terms for sacroiliac joint problems, including SI capsulitis, SI joint dysfunction, SI joint syndrome, SI joint sprain, and SI joint inflammation. The most common symptom of SI joint dysfunction is low back pain, as well as other pain usually at the back of the hips to the left or right at the bottom of the low back. The pain is typically worse with standing and walking and improved when lying down, with pain and discomfort often referring into the groin and hip. Joint stiffness, restriction and limitation of movement are common complaints from sufferers of this injury and these can be managed with chiropractic treatments. Chiropractic care helps make pregnancy more comfortable; women do not have to suffer back during pregnancy.